Hangar Design Group Portfolio | Silcart: Hangar Design Group worked on the project of new catalogues and all the communication tools of Silcart, leading company in the field of home waterproofing systems. ARCHITETTI E DESIGNER (LELLA NATA A UDINE NEL 1931, MASSIMO NATO A MILANO NEL 1931). LELLA SI LAUREA A VENEZIA E SI SPECIALIZZA NEGLI STATI UNITI, MASSIMO, COFONDATORE DELL’ADI, PARTECIPA ALL’ATTIVITÀ DELLA TRIENNALE DI MILANO. NEL 1960 APRONO UNO STUDIO DI ARCHITETTURA E DESIGN A MILANO PER OCCUPARSI DI GRAFICA, IMMAGINI COORDINATE, SEGNALETICHE, ECC. LAVORANO PER KNOLL INTERNATIONAL, POLTRONOVA;NEL 1966 FONDANO LA VIGNELLI ASSOCIATES E SI TRASFERISCONO DEFINITIVAMENTE A NEW YORK. NEL 1981 IL PAC DEDICA LORO UNA MONOGRAFICA. VIVEVAMO A MILANO, IN QUESTO CLIMA INCREDIBILE CHE C'ERA DOPO LA LIBERAZIONE. UN CLIMA DI GRANDE ASPETTATIVA E DI GRANDE RECUPERO DELLO STESSO MOVIMENTO MODERNO. SIAMO CRESCIUTI IN QUELL'AMBIENTE IN CUI SI DICEVA CHE UN ARCHITETTO DEVE SAPERE FARE TUTTO, DAL CUCCHIAIO ALLA CITTÀ. DEL RESTO ROGERS ERA IL NOSTRO GRANDE MAESTRO. È STATA, IN DEFINITIVA, LA FORMAZIONE CHE CI HA SEGUITO PER TUTTA LA VITA. SIAMO ANDATI IN AMERICA, LA PRIMA VOLTA, NEL '57, CON UNA BORSA DI STUDIO, PER TRE ANNI. POI, SIAMO TORNATI A MILANO NEL '60 E SIAMO RIMASTI FINO AL '65. POI, SENTIMMO LA VOGLIA DI TORNARE IN AMERICA PER, IN UN CERTO SENSO, LA NOSTRA MISSIONE. SIAMO TORNATI COME MISSIONARI DEL DESIGN. MISSIONARI DI UN CERTO TIPO DI ATTITUDINE VERSO IL DESIGN, SOPRATTUTTO IN UN AMBIENTE, TIPO QUELLO AMERICANO CHE ERA MOLTO DEDICATO ALLA SPECIALIZZAZIONE. QUINDI, ABBIAMO GUARDATO FIN DALL'INIZIO QUESTA POSSIBILITÀ DI ESTENDERE IL CAMPO DEL DESIGN DALLA COMUNICAZIONE AL DISEGNO DEGLI OGGETTI, DAGLI INTERNI AI MOBILI, ECCETERA, ECCETERA. TUTTO IL CAMPO DEL DESIGN. E COSÌ ABBIAMO FATTO. LELLA VIGNELLI: E QUESTA ERA UNA COSA VERAMENTE NON CAPITA NEGLI ANNI SESSANTA E SETTANTA. DIFATTI, ANCHE AL NOSTRO GRANDE AMICO RICHARD MAYER ABBIAMO DETTO: ‘MA PERCHÉ NON DISEGNI I MOBILI?’ E LUI È INORRIDITO, MENTRE ADESSO LI FA, COME FA OGGETTI, ECCETERA. MA A QUEL PUNTO VERAMENTE GLI ARCHITETTI FACEVANO SOLO LE COSTRUZIONI, PROPRIO IL CAMPO DELLA GRANDE SPECIALIZZAZIONE. NON C'ERA QUESTA VISIONE UMANISTICA DEL CAMPO DEL DESIGN. NOI A QUESTO PUNTO SIAMO ARRIVATI VERAMENTE AL PUNTO DI VIVERE DEL NOSTRO DESIGN, PERCHÉ ABBIAMO LE NOSTRE SEDIE, I NOSTRI PIATTI, I NOSTRI DIVANI, I NOSTRI BICCHIERI, LE NOSTRE POSATE, I NOSTRI VESTITI, OROLOGI. VIVIAMO VERAMENTE DEL NOSTRO DESIGN. E QUESTA È UNA NECESSITÀ, PERCHÉ, IN FIN DEI CONTI, DISEGNIAMO QUELLO CHE NON TROVIAMO. 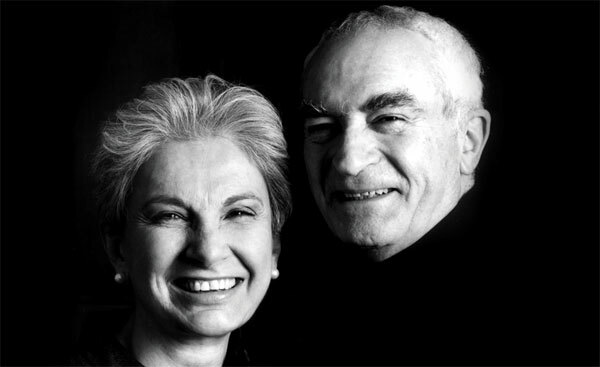 MASSIMO VIGNELLI: IL NOSTRO MOTTO È PROPRIO THE THINGS YOU NOT FIND, DESIGN. CIÒ CHE NON TROVI, DISEGNALO. NON È CHE SI DISEGNA PER PARTITO PRESO. SI DISEGNA QUANDO CI SERVE UNA COSA PARTICOLARE CHE NON SI RIESCE A TROVARE. LELLA VIGNELLI: ANCHE PER UN LAVORO. MASSIMO VIGNELLI: GENERALMENTE IN UNA SITUAZIONE DI LAVORO, OPPURE DISEGNIAMO ANCHE COSE SPECIFICHE, COME LA COMUNICAZIONE. 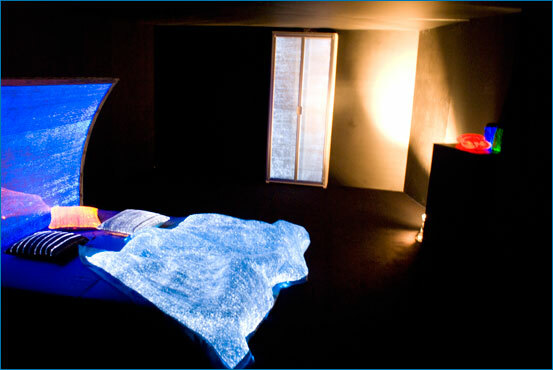 EVIDENTEMENTE TUTTI I PROGETTI, L'IMMAGINE COORDINATA PER UN'INDUSTRIA, PER UN'ESPOSIZIONE, PER MUSEI O COSE DI QUESTO GENERE, VENGONO TUTTE COORDINATE. MA ANCHE LÌ PORTIAMO QUESTO SENSO DI COORDINAMENTO TOTALE, DISEGNANDO IL LOGO DI UN MUSEO, FINO AI CATALOGHI, FINO ALL'ESPOSIZIONE. OPPURE PER UN'INDUSTRIA, ANCHE LÌ PARTENDO DAL LOGO, PER ARRIVARE AL PRODOTTO, ALL'IMBALLAGGIO, AL PUNTO VENDITA, AL NEGOZIO, ALLE MOSTRE, ECCETERA, ECCETERA. QUINDI, UNA VOLTA PRESA UN'INDUSTRIA IN GENERALE, CERCHIAMO DI COORDINARE TUTTI I VARI ASPETTI. PERCHÉ PER NOI, DAL NOSTRO PUNTO DI VISTA, PRATICAMENTE QUALUNQUE OGGETTO, SIA BIDIMENSIONALE CHE TRIDIMENSIONALE, FA PARTE DELLA PROGETTAZIONE. LELLA VIGNELLI: NATURALMENTE CHIAMANDO ANCHE DEI CONSULENTI TECNICI AD HOC. DIPENDE DALLA SITUAZIONE. PERÒ C'È SEMPRE QUESTA VISIONE TOTALE CHE CERCHIAMO DI COMUNICARE E DI CREARE NEL NOSTRO LAVORO. MASSIMO VIGNELLI: PER ESEMPIO, L'ANNO SCORSO ABBIAMO DISEGNATO L’APPARATO DI UNA FERROVIA IN INGHILTERRA, QUINDI L'ESTERNO DEI TRENI, L'INTERNO DEI TRENI, GLI ORARI, LE DIVISE DELLE PERSONE, I PIATTI, I BICCHIERI. TUTTO QUELLO CHE RIGUARDA L'IMMAGINE DI QUESTA FERROVIA. IN GENERALE, IL DISCORSO È DI COGLIERE QUANTO PIÙ È POSSIBILE TUTTE LE OCCASIONI DI FARE TUTTO QUANTO. CIOÈ, DI TOGLIERE L'INQUINAMENTO CHE PUÒ ARRIVARE IN UN’INDUSTRIA DA APPORTI ESTERNI NON CORRELATI. LELLA VIGNELLI: ANCHE PERCHÉ NOI CREDIAMO, APPUNTO, CHE LA CREAZIONE DI UN'IMMAGINE SIA FATTA DA TUTTO. NON SOLAMENTE DAL LOGO, E POI VIA, COME MOLTI DEGLI INDUSTRIALI, ANCHE, CREDONO ANCORA. VENGONO A DOMANDARE DI AVERE UN LOGO. E, QUINDI, LA COSA PIÙ IMPORTANTE È CREARE QUESTA COSCIENZA DELLA TOTALITÀ DELLA COMUNICAZIONE, DELLA TOTALITÀ DELL'IDENTIFICAZIONE. MASSIMO VIGNELLI: CERCHIAMO SEMPRE DI FAR CAPIRE CHE NON È L'APPARENZA CHE CONTA, È L'ESSENZA. BISOGNA MODIFICARE, BISOGNA AGIRE SULL'ESSENZA DI UNA INDUSTRIA... QUESTO È ANCHE DIVERTENTE PERCHÉ, IN FIN DEI CONTI, FA PARTE DEL GRANDE MITO O DELLA GRANDE UTOPIA DEL MOVIMENTO MODERNO, VERSO IL QUALE NOI CI SENTIAMO FORTEMENTE LEGATI. E LO SIAMO SEMPRE STATI, ANCHE IN QUESTI MISERANDI ULTIMI VENT'ANNI DEL POST MODERNISMO E DI VARI CAMUFFAMENTI FORMALI. LELLA VIGNELLI: VEDE CHE FEROCE? MASSIMO VIGNELLI: GRAZIE A DIO, PROPRIO COME I CINESI SULLA SPONDA DEL FIUME, SIAMO VISSUTI ABBASTANZA PER VEDERE QUESTI MOVIMENTI PASSARE, COSÌ VELOCEMENTE, CON LA CORRENTE DELL'ACQUA. PER FORTUNA, DOBBIAMO DIRE CHE IN QUESTO MOMENTO C'È UNA SPECIE DI RINASCITA E DI INTERESSE VERSO L'ESSENZA DELLE COSE, VERSO L'ESSENZA DELLE FORME. QUINDI, IL MINIMALISMO, AL QUALE NOI SIAMO SEMPRE STATI VICINI, SEMBRA RITORNARE A GALLA. PURTROPPO, HO L'IMPRESSIONE CHE POSSA VENIR FRAINTESO COME MODA, ANCHE PERCHÉ LA MODA SI È INTERESSATA AL MINIMALISMO IN QUESTO MOMENTO. E SONO SEMPRE MOLTO CONTRARIO ALLE MODE. NOI SIAMO SEMPRE CONTRARI ALLA OBSOLESCENZA, AL CONCETTO DI OBSOLESCENZA, CHE TROVIAMO IMMORALE E DISONESTO: È LEGATO AL PROFITTO DI PER SÉ. QUINDI SPERIAMO CHE QUESTA ATTENZIONE VERSO IL MINIMALISMO NON SIA UNA MODA, MA SIA UN FRUTTO DI UNA PRESA DI COSCIENZA VERSO L'ASSURDITÀ DEL CONSUMO. D: QUAL È LA DOMANDA CHE VIENE DA UN PAESE COME GLI STATI UNITI VERSO IL DESIGN? MASSIMO VIGNELLI: GLI STATI UNITI SONO ABBASTANZA INDIETRO SUL PIANO DEL DESIGN. IN CERTI CAMPI SONO MOLTO AVANZATI RISPETTO A CERTI ALTRI, EVIDENTEMENTE. IN ITALIA IL DESIGN FA PARTE DEL TESSUTO CULTURALE DELLA NAZIONE. IN AMERICA, INVECE, È ANCORA INTESO COME UN INCENTIVO ALLE VENDITE. ED È LÌ IL DISASTRO. È LÌ CHE VIEN FUORI IL DISASTRO. D'ALTRA PARTE È QUELLO CHE CI FA FORZA SEMPRE E CHE CI INCORAGGIA A COMBATTERE, PER CUI CI SENTIAMO MOLTO PIÙ MOTIVATI NEGLI STATI UNITI, DOVE C'È UNA BATTAGLIA DA PORTARE AVANTI, PIUTTOSTO CHE IN ITALIA DOVE, PIÙ O MENO, DI DESIGNER È STRAPIENO. LELLA VIGNELLI: E ANCHE, NEGLI STATI UNITI NON C'È QUESTA COSCIENZA COMUNE DEL DESIGN, DICIAMO. PERCHÉ QUI VERAMENTE L'UOMO COMUNE, LA DONNA COMUNE SANNO CHE COS'È IL DESIGN. CI SONO UN SACCO DI RIVISTE, ANCHE A LIVELLO MEDIO, ECCETERA, CHE PARLANO DI DESIGN. MENTRE LÀ ASSOLUTAMENTE QUESTO NON ESISTE, PER CUI C'È UNA GROSSA CARENZA ANCHE NEL CAPIRE - E ANCHE NELL'INDUSTRIA - NEL CAPIRE LA NECESSITÀ DELL'INTEGRAZIONE DEL DESIGN NELLA PRODUZIONE E NON ALL'ULTIMO MOMENTO, FACENDO COSÌ UN PICCOLO ABBELLIMENTO. MASSIMO VIGNELLI: DIREI CHE L'ESEMPIO PIÙ CLAMOROSO DI QUESTA DEFICIENZA È PROPRIO L'INTRODUZIONE DELLA FUNZIONE DEL DESIGN NEL CAMPO DEL COMPUTER. IL COMPUTER, CHE SI È SVILUPPATO NEGLI ULTIMI DIECI ANNI CON I VARI PROGRAMMI, WINDOWS, TANTO PER DIRNE UNO, PIUTTOSTO CHE UN ALTRO, È UN LINGUAGGIO FATTO TUTTO DI SOVRAPPOSIZIONI, PROPRIO DI PECETTE APPOSTE. RISPECCHIA PROPRIO UN MODO DI AGIRE CON PECETTE DI CARTA UNA SOPRA L'ALTRA, CON PEZZETTINI DI CARTA. E IL COMPUTER SI SVILUPPA NELLO STESSO MODO. IL COMPUTER, AVENDO L'IMPORTANZA CHE HA, PORTA A UNA DISEDUCAZIONE VERSO LE COMUNICAZIONI VISIVE, CHE AVREBBE POTUTO ESSERE MOLTO PIÙ EFFICIENTE E MOLTO PIÙ COSTRUTTIVA SE FOSSE STATA AFFRONTATA SIN DALL'INIZIO DALL'INDUSTRIA DEL COMPUTER CON DEI DESIGNER. È LÌ DOVE CASCA. PERÒ NON SIAMO MAI STATI, NEANCHE INTERVISTATI, PER COSÌ DIRE, DALL'INDUSTRIA DEL COMPUTER PER LE COSE PROPRIO SPECIFICHE DEI PROGRAMMI DEI COMPUTER CHE INVECE DOVREBBE ESSERE LA COSA FONDAMENTALE PER I COMPUTER. È IL MEZZO STESSO. È COME SE, INVECE DI USARE DEI CARATTERI TIPOGRAFICI PER QUEST'AFFARE, SI USASSERO DEGLI OGGETTI TROVATI, SI USASSERO DELLE SCRITTURE, DELLE CALLIGRAFIE DIVERSE. CIOÈ, È ADDIRITTURA INCOMPRENSIBILE IL LIVELLO DI IGNORANZA DI COMUNICAZIONE IN QUESTI CAMPI. PURTROPPO ORMAI È TROPPO TARDI. ORMAI CI SI ABITUA A SCRIVERE MALE. CI SI ABITUA AD USARE UN LINGUAGGIO DEL COMPUTER CHE, INVECE DI FACILITARE LA COMUNICAZIONE, LA CONFONDE. DA LÌ ANCHE LE FORME DI ESPRESSIONE RECENTI DI MOLTI GIOVANI CHE USANO IL COMPUTER E SI FANNO SEDURRE (È UN APPARECCHIO MOLTO SEDUCENTE), SI FANNO SEDURRE DALL'IMMAGINE. LELLA VIGNELLI: IL COMPUTER È VERAMENTE UNO STRUMENTO FANTASTICO, PERCHÉ SI PUÒ FARE UN PROGETTO CON UNA PERSONA, INVECE CHE CON CINQUE COME SI FACEVA UNA VOLTA, MANDANDO FUORI IN TIPOGRAFIA, RINCOLLANDO, RIMANDANDO FUORI, ECCETERA, ECCETERA. QUINDI, È VERAMENTE UN CONTROLLO IMMEDIATO. LELLA VIGNELLI: USATO BENE... NOI LO USIAMO BENE. MASSIMO VIGNELLI: ORMAI TUTTO È COMPUTERIZZATO. PER NOI LA GRAFICA È ORGANIZZAZIONE DELL'INFORMAZIONE. NON È ARTE. NON È ESPRESSIONE. QUANDO È QUELLO, È UN'ALTRA COSA. PER NOI È ORGANIZZAZIONE DELL'INFORMAZIONE. QUINDI, IL COMPUTER CI AIUTA MOLTISSIMO IN QUESTO SENSO. D'ALTRA PARTE, SIAMO NOI CHE CONTROLLIAMO IL COMPUTER. PER NOI È SOLTANTO UN MEZZO, UNA MATITA. DIREI CHE LA MATITA FORSE È IL COMPUTER PIÙ AVANZATO CHE ESISTA ANCORA, PERCHÉ SERVE PER FARE QUALUNQUE COSA. PERÒ HA POCA MEMORIA, MENTRE IL COMPUTER HA GRANDISSIMA MEMORIA RISPETTO ALLA MATITA. PERÒ IL GERENTE DELLA MATITA, DI SOLITO, HA MOLTA PIÙ MEMORIA DI UN COMPUTER E MOLTA PIÙ GRAFICA. QUINDI CI SI TROVA DI FRONTE A UN MEZZO CHE OFFRE DELLE POSSIBILITÀ INCREDIBILI, FANTASTICHE, VERAMENTE MAI AVUTE PRIMA, EVIDENTEMENTE, CON IL QUALE SI POSSONO FARE DELLE COSE STUPENDE. NON SOLO, MA ANCHE DAL PUNTO DI VISTA OPERATIVO. NOI FACCIAMO DELLE COSE A NEW YORK E, IN CONTEMPORANEA, VENGONO SPEDITE A MILANO. QUESTO COMPASSO D'ORO CHE PRESENTIAMO STASERA, SONO TUTTE STRADE FATTE IN SIMULTANEA TRA NEW YORK E MILANO, FACENDOLE, MANDANDOLE IN AUTOMATICO. LELLA VIGNELLI: E POSSONO ESSERE USATE, POSSONO ESSERE STAMPATE, ECCETERA. MASSIMO VIGNELLI: IO LE HO PROVATE, CORRETTE SUL MOMENTO E POI ... CON QUESTA SIMULTANEITÀ TI PARE CHE IL MONDO SI SIA IMPROVVISAMENTE RIDOTTO DI DIMENSIONE: È MERAVIGLIOSO. QUINDI, NON C'È PIÙ IL PROBLEMA DI DOVE VENGONO FATTE LE COSE. NOI POSSIAMO AGIRE DA MILANO, O DA NEW YORK, O DA TOKYO NELLO STESSO TEMPO E NELLO STESSO MODO. E LO FACCIAMO. QUINDI È MOLTO ECCITANTE DA QUESTO PUNTO DI VISTA. ED È MOLTO DIVERTENTE, ANCHE, QUESTA SIMULTANEITÀ DELLE AZIONI. FA PARTE DELL'UTOPIA DEL MOVIMENTO MODERNO. LA RICERCA DELL'ELEGANZA, LA RICERCA DEL GIUSTO, PIÙ CHE DEL BELLO, DELL'APPROPRIATO. LELLA VIGNELLI: DELL'APPROPRIATO E DELL'ESSENZA DEL PROBLEMA. FA PARTE PROPRIO DELLA NOSTRA EDUCAZIONE E DELLA NOSTRA FORMAZIONE. MASSIMO VIGNELLI: E ANCHE QUESTO MODO DI PENSARE DI ALZARE IL LIVELLO, NON DI ABBASSARLO. NOI SIAMO DEI ‘PRE SESSANTOTTO’, NON DEI POST SESSANTOTTO, QUINDI IL NOSTRO COMPITO È SEMPRE STATO QUELLO DI ALZARE IL LIVELLO MEDIO PIUTTOSTO CHE DI ABBASSARE A LIVELLO COMUNE. LELLA VIGNELLI: PERÒ DEVO DIRE CHE MOLTI DEI NOSTRI PRODOTTI, DA LIBRI A COSE PER LA TAVOLA, ECCETERA, ECCETERA, SONO DIVENTATI MOLTO POPOLARI, QUINDI ACCETTATI. QUINDI NON SO SE È VERA QUESTA GRANDE SOFISTICAZIONE. MASSIMO VIGNELLI: IL CONCETTO DI ACCESSIBILITÀ È ESTREMAMENTE IMPORTANTE; IL CONCETTO DI APPROPRIATEZZA È ESTREMAMENTE IMPORTANTE. ED È IMPORTANTE ANCHE, PER NOI, IL CONCETTO DI AMBIGUITÀ. QUESTA È UNA CARATTERISTICA ITALIANA CHE NOI DUE PORTIAMO AVANTI. IL CONCETTO DI AMBIGUITÀ INTESO SOPRATTUTTO COME PLURALITÀ DI ESPRESSIONE O DI LETTURE. LA PLURALITÀ DI LETTURE. QUESTO È ITALIANO E NON CE LO POSSIAMO TOGLIERE. QUESTO MI DIVERTE MOLTO PERCHÉ IN AMERICA È TUTTO IL CONTRARIO. L'EDUCAZIONE PROTESTANTE È ESTREMAMENTE CONTRARIA ALL'AMBIGUITÀ. LELLA VIGNELLI: ANZI, HA UN BRUTTO SIGNIFICATO. MASSIMO VIGNELLI: PER NOI HA UN SIGNIFICATO PERFETTO. PER NOI È LA NOSTRA ESSENZA.. QUINDI QUESTA È POSSIBILITÀ DI LETTURA. LELLA VIGNELLI: D'ALTRONDE, QUANDO SI È STRAPIANTATI, COME LO SIAMO NOI, VERAMENTE NON SI È MAI NÉ DI QUI, NÉ DI LÀ. QUESTO È UN PO' UN PRIVILEGIO E UNA DANNAZIONE DELLA NOSTRA VITA. MASSIMO VIGNELLI: QUESTO NON È L'INFERNO NÉ IL PARADISO. SIAMO IN UN ETERNO LIMBO, SE SI VUOLE, CHE È L'ATTESA DI UN MONDO MIGLIORE. E QUESTA È UN'UTOPIA CHE SEMPRE CI GUIDA. CI SENTIAMO PARTECIPI DI QUESTA ALTERAZIONE E NEL CORSO DELLA NOSTRA VITA ABBIAMO SEMPRE CERCATO DI POTER ALZARE IL PIÙ POSSIBILE LA QUALITÀ DELLE COSE. PER NOI IL CONCETTO DI QUALITÀ È ESTREMAMENTE IMPORTANTE. È IMPORTANTE A QUALUNQUE LIVELLO, A LIVELLO DI MATERIALI. SE FACCIAMO DEI VESTITI, PER NOI, LA COSA IMPORTANTE NON È CAMBIARE LA MODA. ANZI, SIAMO CONTRARI ALLA MODA, PROPRIO CONCETTUALMENTE. PER NOI, INVECE, È IMPORTANTE LA QUALITÀ DI UN VESTITO, CHE POSSA VIAGGIARE CON NOI, CHE SI POSSA TIRAR FUORI E CHE SIA ANCORA DECENTE, ECCETERA. CHE POSSA DURARE NEL TEMPO, INVECE CHE ESSERE SFASCIATO DOPO SEI MESI. IL CONCETTO DI QUALITÀ, IL CONCETTO DI DURATA, PER NOI IL CONCETTO DI QUALCOSA CHE NON PASSA NEL TEMPO È ESTREMAMENTE IMPORTANTE. E, GRAZIE A DIO, MOLTE DELLE COSE CHE ABBIAMO FATTO 20 O 30 ANNI FA SONO ANCORA VALIDE OGGI. SONO ANCORA POTABILI, USABILI. LELLA VIGNELLI: SÌ. SENZ'ALTRO È UN PUNTO DI RIFERIMENTO. LELLA VIGNELLI: E POI ANCHE C'È IL FATTO CHE IL DESIGN HA PERMEATO TUTTO IN ITALIA. PERCHÉ VAI ALL'UPIM E TROVI DELLE COSE DI DESIGN. COSA CHE NON SUCCEDE IN AMERICA, INSOMMA, PER FARE UN ESEMPIO. QUINDI, C'È QUESTA GROSSA DIFFUSIONE CHE È IL FENOMENO FORSE PIÙ IMPORTANTE CHE SI SENTE, VENENDO DALL'ESTERO, DEL DESIGN ITALIANO. The new Guggenheim Museum Bilbao by Frank Gehry was probably the most often mentioned new building of 1998 and 1999 in architecture circles. 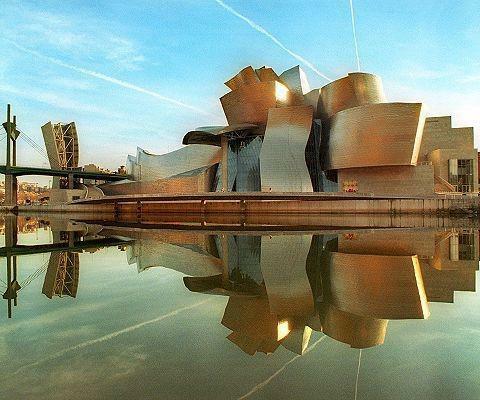 The composition continues a curvaceous, free-form sculptural style that has become a Gehry signature. The abstract, free-form components of this style were present in the early Gehry House, and a similarly sleek curvaceous cladding was displayed in the sculptural fish of the Fishdance Restaurant. Tessuto tecnologico con fibre ottiche: Luminex è realizzato integrando i filati tradizionali con la fibra ottica, la stessa che fa viaggiare i fasci di luce e che viene impiegata normalmente nei sistemi di telecomunicazione. Questo tessuto davvero rivoluzionario si accende non appena un minuscolo interruttore con batteria viene attivato e man mano che la tecnologia sarà perfezionata, l'incredibile stoffa hi-tech potrà persino cambiare colore mentre balliamo, camminiamo o corriamo divenendo un vero e proprio tessuto intelligente: un prodigio possibile grazie alla presenza di un microchip incorporato capace di elaborare segnali diversi, come ad esempio la temperatura del corpo o del battito cardiaco, e di determinare di conseguenza le variazioni di colore. Il materiale è frutto di anni di ricerca che hanno permesso di superare tutta una serie di complessi problemi legati alla lavorazione e alla tessitura: per produrre i prototipi sono state utilizzate fibre ottiche plastiche di tipo classico e anche di tipo scintillante, successivamente integrate e lavorate con quelle naturali e sintetiche. È allo studio un nuovo sistema in grado di ridurre lo spessore delle fibre per ottenere tessuti sempre più leggeri, morbidi e soffici. Luminex è stato realizzato dall'italiana Caen, un'azienda con sedi anche negli Usa, che opera nel settore dell'elettronica applicata agli esperimenti di fisica e spaziali. Caen, che ha lavorato fianco a fianco con grandi scienziati e Premi Nobel, ha sviluppato questo formidabile progetto insieme all'azienda tessile Fit di Prato e alla svizzera Stabio specializzata nella lavorazione di tessuti speciali. Il tessuto ha un prezzo di circa 50 euro al metro e si può lavare e stirare, può essere elasticizzato e confezionato sia con fibre naturali che sintetiche. Leghe con memoria di forma: Le leghe dotate di una memoria di forma sono metalli che hanno la capacità di subire una trasformazione meccanica e poi, con un aumento della temperatura, ritornare allo stato iniziale. Questo fenomeno è una delle sorprendenti proprietà termomeccaniche della trasformazione strutturale di tipo martensitico reversibile che si produce quando viene raggiunta una determinata soglia fra la temperatura a cui il materiale si deforma e quella a cui esso ritorna allo stato originario. Effetto di memoria singolo - Una lega che sia stata sottoposta ad una deformazione apparentemente plastica a bassa temperatura (stato martensitico) ritorna da sola alla sua forma iniziale (stato austenitico), mediante il semplice riscaldamento. Questo effetto viene chiamato 'simple memory effect. Effetto di memoria doppio - Una lega che risponde all'effetto di memoria singolo può essere 'educata', mediante un'opportuna serie di trattamenti termomeccanici, ad imparare l'effetto 'memoria doppia' o reversibile. In questo modo l'oggetto è in grado di alternare la propria reversibilità fra due forme stabili: una che corrisponde alla temperatura elevata (stato austenitico), l'altra che corrisponde alla temperatura bassa (stato martensitico). Inoltre, queste leghe mostrano un notevole effetto superelastico nel loro stato austenitico, quando raggiungono valori di temperatura immediatamente superiori alla soglia di transizione. I campi di applicazione vanno dall’aeronautica, all’automobilismo, agli elettrodomestici, ai giocattoli, all’architettura: un applicazione particolarmente innovativa nel settore minerario vede l’impiego di barre in lega a memoria di forma nell’estrazione dei blocchi di pietra, con notevole semplificazione nell’estrazione dei blocchi di maggiori dimensioni. Tessuto a memoria di forma: è un tessuto realizzato con polimeri studiati per reagire a stimoli esterni, come ad esempio il calore. Il tessuto a memoria di forma nasce dall’esigenza di progettare prodotti che migliorino le risposte fisiologiche e psicologiche del consumatore: partendo da una caratterizzazione quantitativa delle risposte fisiologiche e una successiva correlazione statistica tra stimoli e risposte, è nato un tessuto innovativo capace di reagire a particolari condizioni e assumere la conformazione più idonea che conduca allo stato di benessere fisico dell’individuo. Il tessuto a memoria di forma trova applicazione all’interno di capi destinati all’utilizzo in particolari condizioni climatiche come nelle spedizioni al polo o sulle vette dell’himalaya. Tessuto trasparente antifiamma: Questo tessuto offre nuove possibilità di protezione contro gli effetti delle radiazioni infrarosse intense: si tratta di una maglia in fibra aramidica (KEVLAR ). La tecnica di tessitura impiegata dà al tessuto una costruzione che per la sua complessità conferisce al materiale proprietà di filtro ottico: le frequenze bloccate vanno dai due ai sei micron, frequenze corrispondenti a quelle emesse dal materiale vegetale in fase di combustione. Utilizzato come schermo termico il tessuto blocca fino al 90% del flusso termico proveniente da fonti con temperature comprese fra 250°C e 1150°C. Il materiale mantiene elevate proprietà meccaniche oltre i 300°C, rimanendo allo stesso tempo anche trasparente. Si possono adoperare anche più strati distanziati tra di loro di qualche centimetro, in questo modo l'aria che circola tra gli strati migliora ulteriormente l'isolamento termico dando la possibilità d'impiegare il sistema a temperature più elevate. Il materiale potrebbe essere utilizzato nella protezione di dispositivi esposti al calore (circuiti elettrici, tubature del gas e così via), ma la sua resistenza meccanica, elasticità e leggerezza (192 g/m2) lo rendono ideale per l'uso nell'abbigliamento, in barriere antifuoco, per la protezione del personale e per qualsiasi altro impiego. 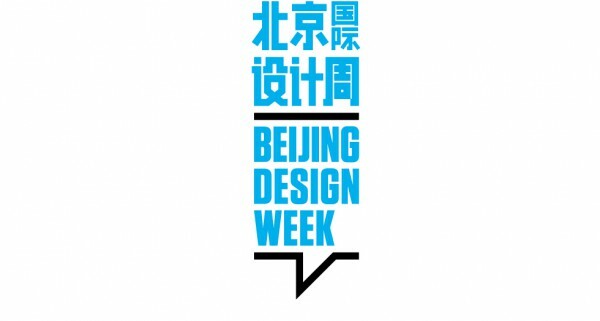 La Beijing Design Week 2012 si svolgerà dal prossimo 28 settembre fino al 6 ottobre e, come annunciato allo scorso Salone del Mobile, dopo Londra, quest’anno sarà Milano la città ospite della più importante manifestazione di design in Cina. Come l’anno scorso, Rizzoli Beijing ha un ruolo di primissimo piano nell’organizzazione dell’evento. Tra le prime novità di questa edizione c’è l’allargamento a una nuova, vitale zona della capitale: CCD, ovvero il Cao Changdi Village. Si tratta di una sorta di città nella città, un luogo noto come l’alter ego del distretto dell’arte 798, perché qui sono nate gallerie e studi indipendenti. Qui anche Ai Weiwei ha realizzato un complesso dove stare con i suoi amici la galleria China Art Archives and Warehouse. La grande energia creativa di questa area si mescola a un carattere agricolo: qui è all’ordine del giorno che agricoltori, studenti immigrati e tassisti si mescolino a mangiare e bere con artisti, designer e collezionisti.